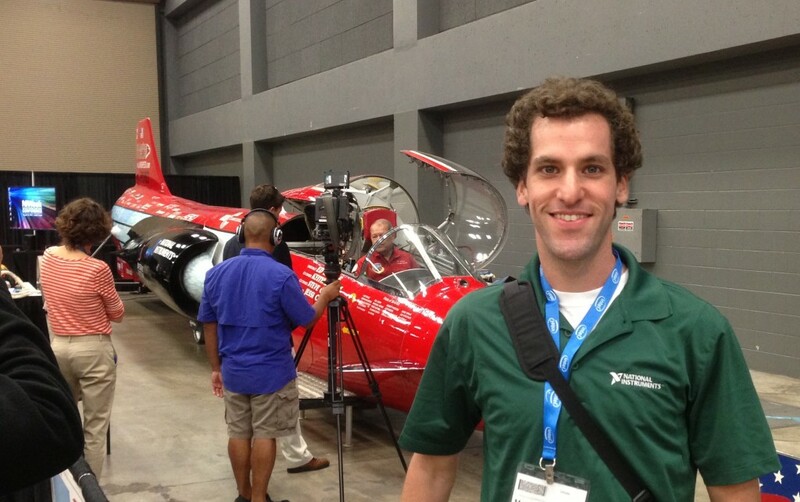 NIWeek 2013 kicked off today (well, the first keynote was today). I took very few photos but one thing was coolest to me: North American Eagle. 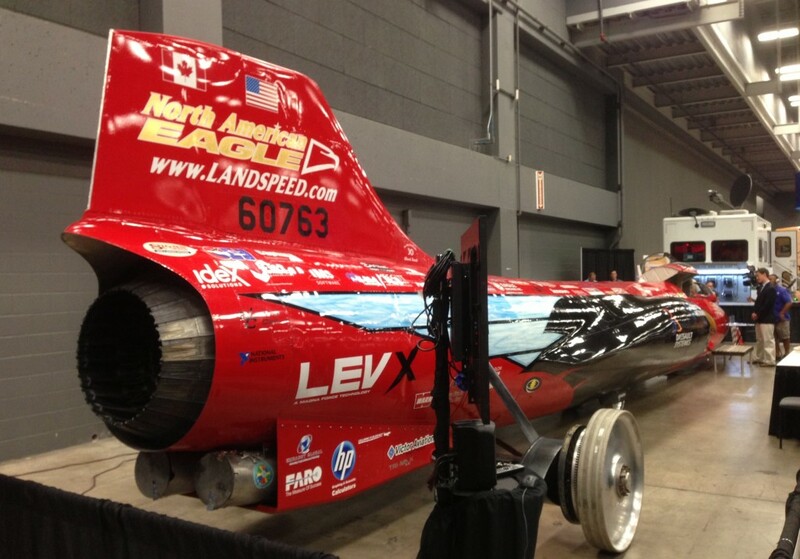 This is the “car” that will attempt to break the land speed record. It needs to go at almost 800 MPH. It’s basically a fighter jet with no wings but wheels. Impressive. North American Eagle, bad hair day. 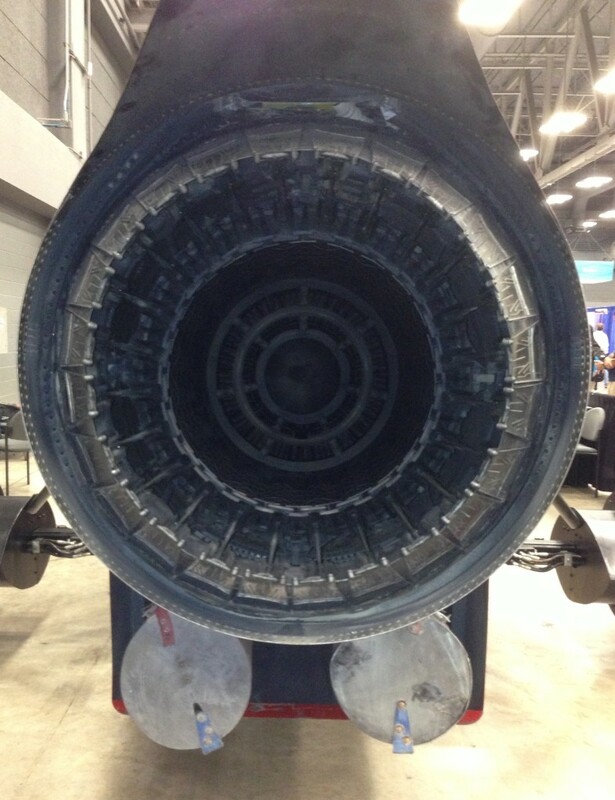 Looking into the rocket engine, camera flash on. 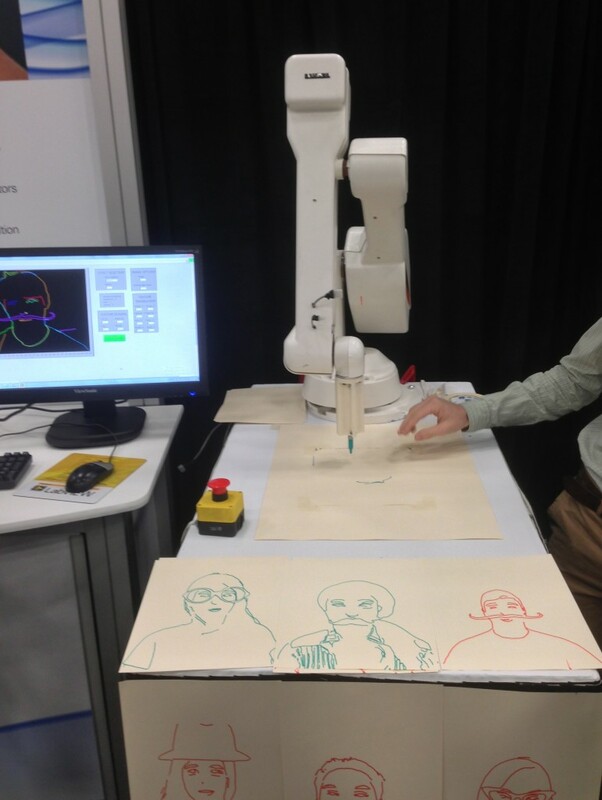 This demo uses a camera and image recognition software to create a line art of your face, then motion control and a robotic arm to draw it. Only tangentially related, the convention center is very close to Casino el Camino, home to possibly the best hamburgers in town. 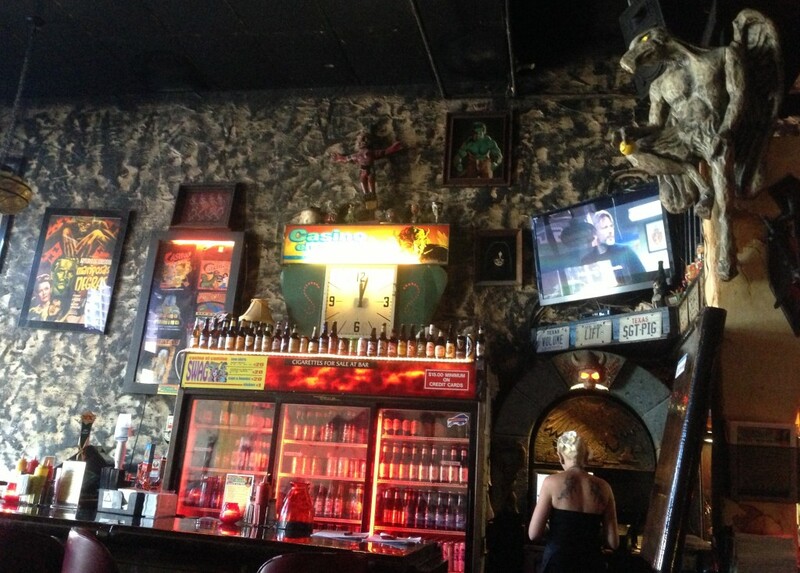 And as you can see… also home to possibly the best Lou Ferrigno framed photo in town.